This week, I rewrote our school handbooks plagiarism policy. Rewriting the policy gave me some time to think about how to describe plagiarism, its consequences, and how to avoid it succinctly. Below is the rewritten policy. What do you think can be improved upon? 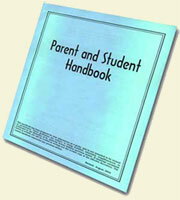 Does your school have a detailed plagiarism policy in the school handbook? If so, does it look like mine, or is it something different? In 2010, a business professor at Rutgers University, Donald McCabe, completed a survey of 14,000 university students. The students were asked if they had ever copied sentences into their papers from outside sources without giving credit to those sources. Forty percent of those students admitted to copying others work and claiming it as their own (http://www.nytimes.com/2010/08/02/education/02cheat.html?pagewanted=all&_r=0). The survey, issued though the Center for Academic Integrity, matched other surveys given around the world that all revealed similar data. Cheating on papers is a rampant issue in schools. This form of cheating, known as plagiarism, is a serious problem. One of the worst decisions a student can make is the decision to plagiarize their homework, class work, or class assessments. At QSIS, students are taught that the act of plagiarism is an act with serious consequences. According to researchers at Penn State University, plagiarism is wrong because “when you commit plagiarism, you hurt yourself and the community in the following ways: 1)You deny yourself the opportunity to learn and practice skills that may be needed in your future careers; 2) You invite teachers to question your integrity and performance in general; 3)You commit fraud on teachers who are evaluating your work; 4)You deprive another author due credit for his or her work; and, 5)You show disrespect for your peers who have done their own work” (see http://tlt.psu.edu/plagiarism/student-tutorial/why-plagiarism-is-wrong/). Because all violations of Academic Integrity strike at the very core of the nature of the school, the response to plagiarism and cheating is extreme, including the possibility of redoing all outcomes of that course, failing the assignment and/or unit, becoming ineligible to participate in extra-curricular clubs and sports (e. g., Model United Nations, National Honor Society, Roots and Shoots, Student Council). If you are a Secondary 4 student, you may also be required to write a letter to universities explaining your actions. Because there are different degrees of plagiarism, each act of plagiarism and the appropriate response to the act will be discussed with the teacher of the class, a member of the administration, and another faculty member. The student will then be notified by their teacher about the response. The act of plagiarism by the student will be kept on file for one year. Should the student commit further acts of plagiarism, the consequences will become more severe. If you have any questions about plagiarism, helping your students avoid plagiarism, or plagiarism checking tools, please contact QSIS. Posted on February 20, 2015 by johnbryanthompson	• This entry was posted in School Policies and tagged a, School Policies. Bookmark the permalink.